Lead the development of district based working so that there is coordinated and integrated delivery of education, learning and skills services in each district, working in partnership with schools and other providers, and with other corporate directorates in Kent County Council. Read the full job description (PDF, 268.1 KB). 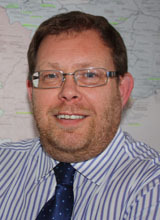 Keith joined Kent County Council in 1982 after a variety of jobs whilst at university. He has worked in a number of roles within Corporate Finance, Social Services and Education Finance. He is CIPFA (Chartered Institute of Public Finance and Accountancy) qualified. Keith has not claimed any expenses for the past financial year. Memberships: Member of Chartered Institute of Public Finance & Accountancy.